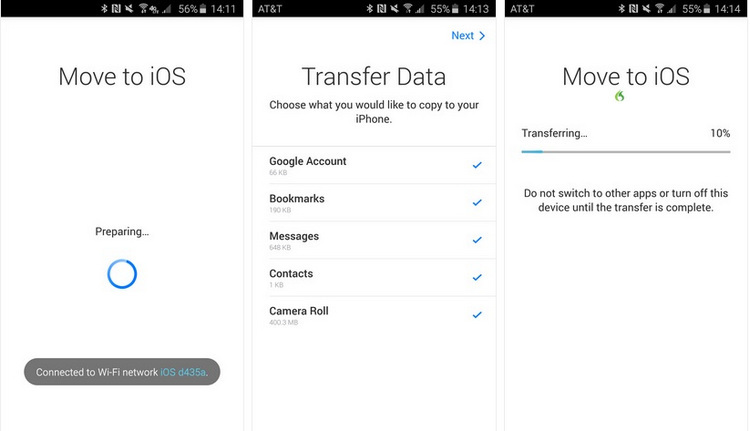 "How to transfer contacts from Android to iPhone?" If you have recently got a new iPhone and are moving from Android to iOS, then you would be going through the same problem. It might surprise you, but there are numerous ways to transfer contacts from Android to iPhone. From iTunes to Gmail, you can use various tools to move contacts from Android to iPhone. In this tutorial, we will teach you how to import contacts from Android to iPhone in four different ways. 1-Click to Transfer Contacts from Android to iPhone. 1. 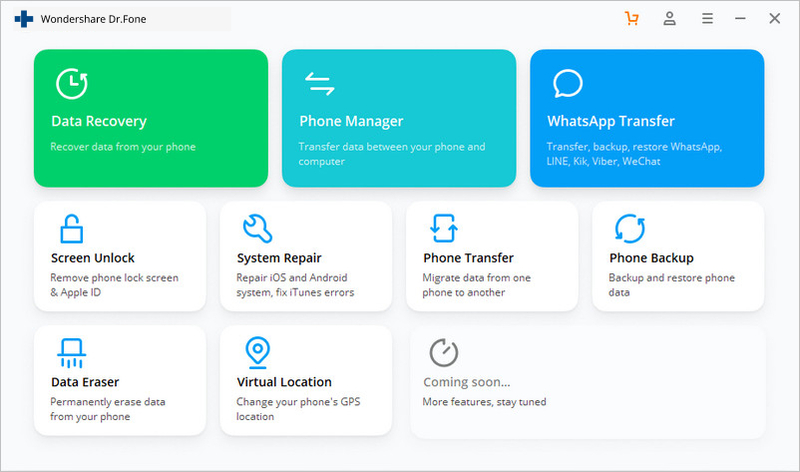 Download dr.fone - Switch on your system and launch it whenever you wish to move contacts from Android to iPhone (or vice versa). 2. After launching it, click on the “Switch” feature and connect both the device to the system. 3. 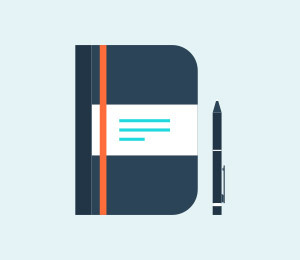 The tool will automatically recognize your devices and list them as either source or destination. If you want to exchange their positions, then click on the “Flip” button. 4. Now, select the data you wish to move. To import contacts from Android to iPhone, select “Contacts” before clicking on the “Start Transfer” button. 5. 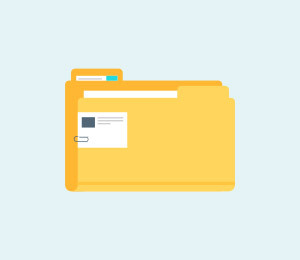 This will automatically transfer contacts from Android to iPhone. You can also choose to clear data before copying contacts on the target device as well. 6. While dr.fone - Switch would move contacts from Android to iPhone, make sure that both the devices are connected. 7. 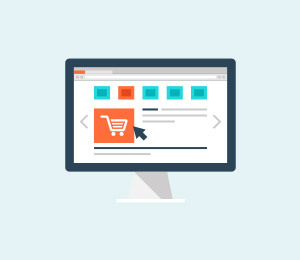 Once the process is completed, you will be notified via an on-screen message. 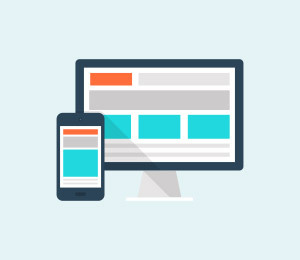 Now, you can disconnect both the devices. That’s it! In this way, you can learn how to transfer contacts from Android to iPhone with a single click. 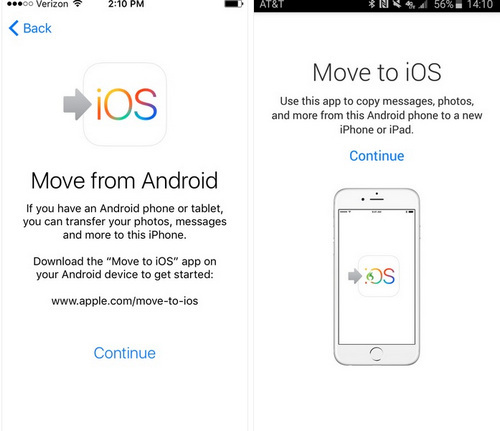 If you wish to transfer contacts from Android to iPhone wirelessly, then you can also try the Move to iOS app. 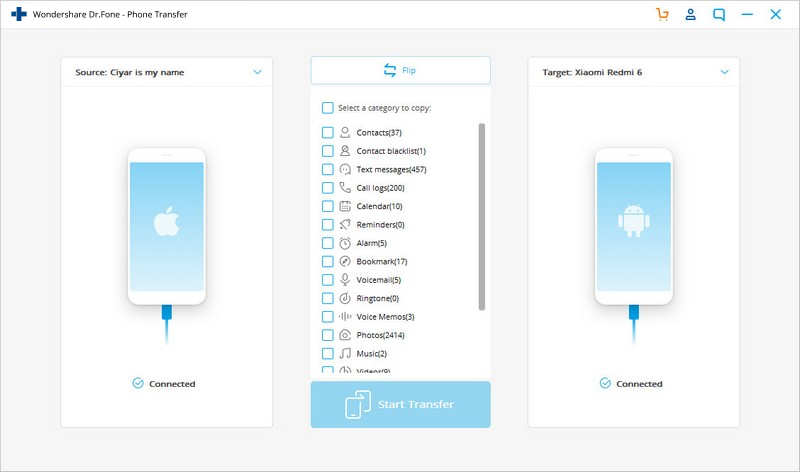 Developed by Apple, it is an official app to transfer contacts from Android to iPhone. Though, this technique will only work if you are setting up a new iPhone. If you wish to import contacts from Android to iPhone on an existing device, then you would have to factory reset it first. Nevertheless, you can follow these steps to learn how to move contacts from Android to iPhone using the app. 1. Firstly, download the Move to iOS App on the source Android device. It is available for free on Play Store. 2. Now, turn on the target iOS device on which you wish to transfer your data. 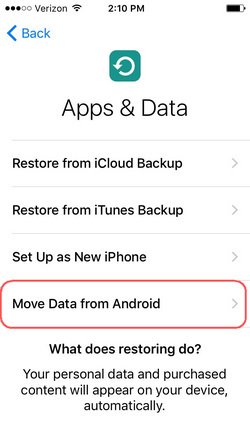 While performing its setup, choose to “Move data from Android”. 3. 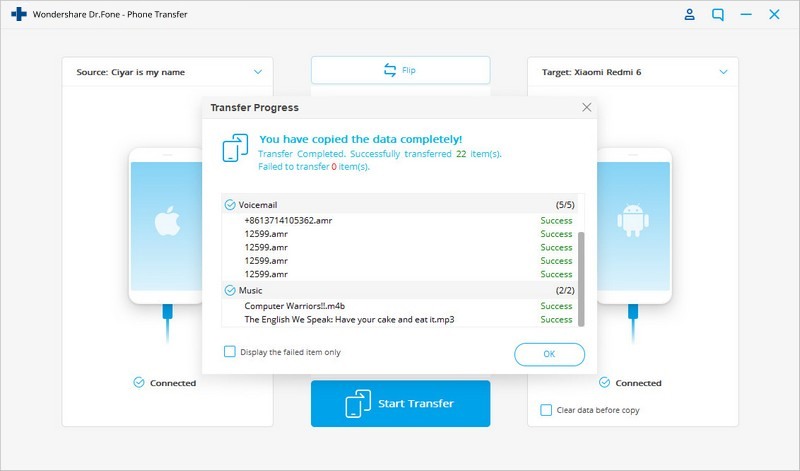 Launch the app to transfer contacts from Android to iPhone and tap on the “Continue” button. 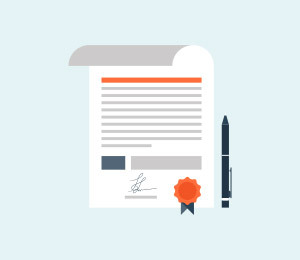 Provide it the needed permissions to proceed. 4. On your target iOS device, you can view a security code. 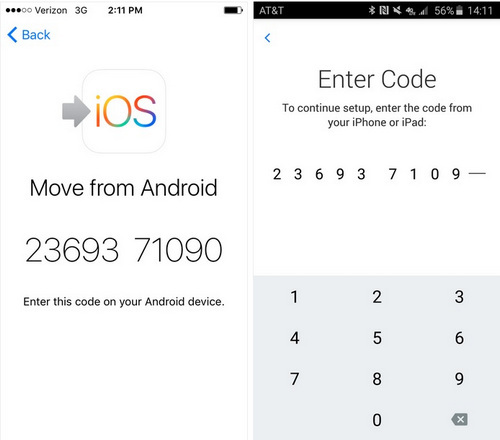 Simply type the same code on the Move to iOS app interface (on the Android device). 5. Once both the security codes are matched, the devices would be connected. Now, you can select the type of content you wish to move. 6. Select Contacts (or any other data type) and tap on the “Next” button to initiate the process. In this way, you can learn how to import contacts from Android to iPhone over the air. Needless to say, both the devices should be in close proximity. 1. Firstly, you need to sync your contacts to your Google account. To do this, go to your phone’s Settings > Accounts > Google and make sure the sync feature for Accounts is turned on. 2. Once you have synced all the contacts to your Google account, you can move them to a target iOS device easily. 3. 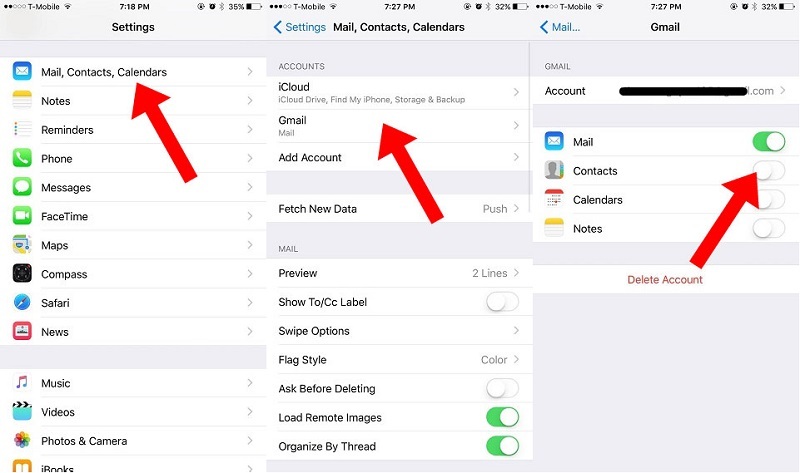 If you are not using Gmail on the target iPhone yet, then go to its Settings > Mail, Contacts, Calendar > Add Account > Google. 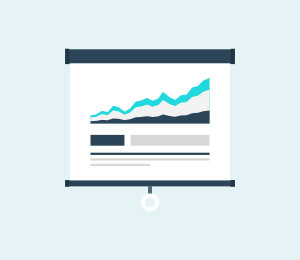 Provide your account credentials and log-in to your Google Account. 4. 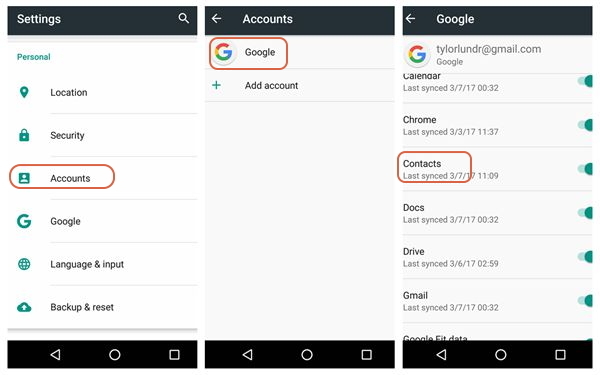 Now, to transfer contacts from Android to iPhone, go to your Gmail account settings and turn on the sync option for Contacts. That’s it! After a while, your contacts will automatically be synced to your target iOS device. In this way, you can easily learn how to import contacts from Android to iPhone. If you don’t want to use your Google account on the target iOS device, then you can also use iTunes to move contacts from Android to iPhone. Beforehand, make sure that the contacts on the source Android device are already synced to your Google Account. 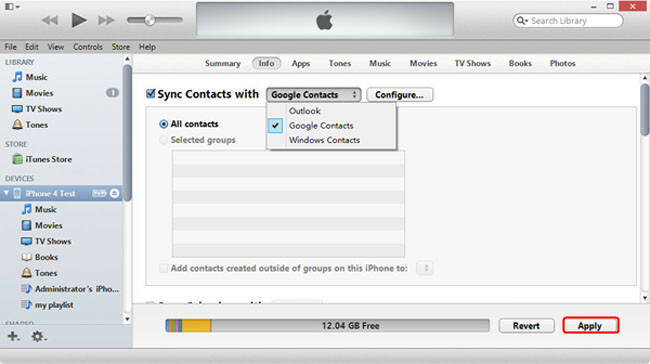 To learn how to move contacts from Android to iPhone, simply connect the iPhone to your system and launch iTunes. Select the device and go to its Info section. Here, you can enable the option of “Sync Contacts with” and choose Google Contacts as the source. If you are not logged-in already, then a pop-up would appear to let you log-in to your Google account. 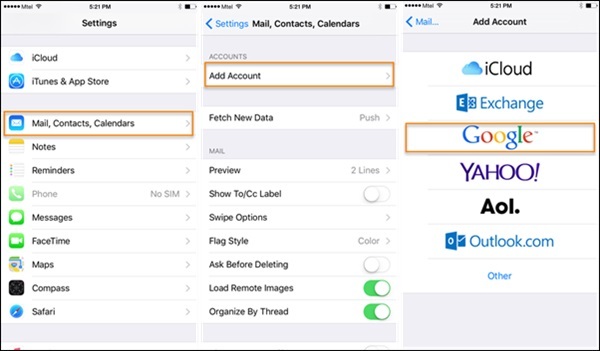 In no time, this will sync your Google contacts to the target iOS device. Now when you know how to transfer contacts from Android to iPhone in 4 different ways, you can easily go with the preferred option. We would recommend using dr.fone Switch to import contacts from Android to iPhone as it is the fastest and easiest solution of them all. 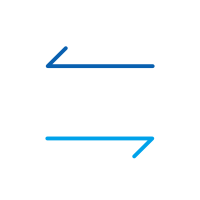 Not just contacts, it can also be used to transfer other types of data from one platform to another seamlessly.